Soap scum build-up, mildew, etching, permanent stains, or other damage can really diminish the elegance of your bath and shower space. With our expert cleaning and sanitizing, repair and restoration, and sealing services, your bathrooms can sparkle once again. Have your natural stone shower walls lost their shine? Are they stained, scratched, etched or otherwise damaged? And how about your tile and grout — are those grout lines stained, discolored or a lot darker than they should be? Our technicians can resolve all of these issues. We restore marble, limestone, travertine, and tile and grout surfaces in your bathroom. Our services include cleaning, sanitizing, honing, polishing, repairs, sealing, protection, and more, so your bathrooms always make a positive impression. Some natural stone types are more porous than others, but, generally speaking, all natural stone is susceptible to staining. That’s why it’s important to have the natural stone in your bathrooms properly sealed. 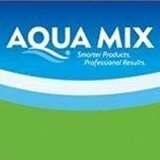 Whether you’ve had your natural stone forever and it’s time to have it resealed, or the contractors just finished installing your stone, or somewhere in between, Certified Stone Professionals can professionally clean your marble, limestone, travertine, and other types of natural stone, and then generously apply the appropriate sealer so that you have time to clean up spills before they become permanent stains. We also provide grout sealing and grout color sealing services for tile and grout surfaces. 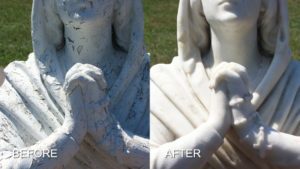 If you find yourself with a stain on your stone, don’t hesitate to contact us. We can resolve most stains in all types of natural stone and get your bathroom looking beautiful again. No matter how durable the stone, if you drag something heavy across it or drop something on it at just the right (or the wrong!) angle – it can scratch or chip. It’s the sort of thing that can stand out on an otherwise pristine bathroom and just drive you nuts! But it doesn’t have to. 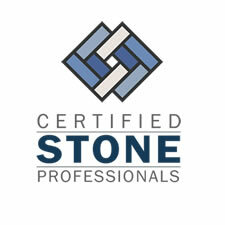 Certified Stone Professionals can repair most scratches, chips, and even cracks in a seamless manner. For a FREE estimate on professional honing, polishing, cleaning, sealing, and other restoration services for natural and engineered stone and tile baths and showers throughout Western New York, including Rochester and Buffalo, contact us online or call (716) 759-4200 today.